ianuring Hackbright Academy’s immersive and rigorous 12-week software engineering fellowship, students built impressive web apps in just 4 weeks! Get ready to be inspired by these amazing women and their creations ranging from trip planning to ride sharing apps that showcase their unique personalities. After graduation, Angela worked through various client-facing positions, but her passion has always been working behind the scenes, especially technological problem-solving. Her ‘a-ha!’ moment happened when she discovered how simple coding in VBA could make tedious tasks, like repetitive reporting, so much easier. Since then, Angela has dabbled in computer science classes and most recently worked in Human Resources Consulting for tech companies. She is excited to continue learning the craft of coding for a career in software engineering. Users use Clever Closets to organize and keep track of their clothing. The closet groups items by category for easy visualization. Each article of clothing will have multiple keywords that the user links to for various occasions that it can be worn for. Aside from organization, users can also generate random outfits based on the activity they are looking to attend. Once the outfit has been generated, it can be saved as a past outfit, or even a favorite outfit. Boya graduated from college with a degree in biology and then spent time working in biotech. She was involved in DNA sequencing services and streamlined protocols for commercial sequencing prep kits. After becoming interested in the software involved with data analysis and collection, she started learning coding on the side and quickly became interested in problem solving on a different platform. She is excited about building her skills as a full-stack software engineer after Hackbright and becoming involved with the tech community. In her spare time, Boya can be found exploring local parks with her dog and contemplating the spontaneous appearances of sand. If a Tsunami hit San Francisco, where should you go? My app finds an escape route for natural disasters using parameters other than a predetermined destination. Using inputs such as a start location, a time limit and the elevation needed to escape, it queries a database faith preloaded end locations in a radiating distance from the start location to end your escape path. Camille is currently a fellow at Hackbright Academy. Before Hackbright she earned her bachelor’s degree in Computer Science and worked as a team lead and cosmetic merchandiser. At Revlon Cosmetics she was responsible for building relationships with managers in the stores she was assigned and representing the Revlon brand. During her time at Revlon, she continued coding and her self study in Java. 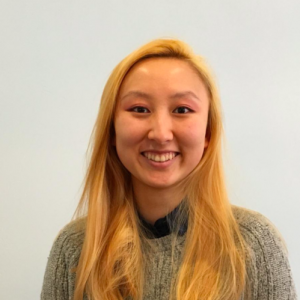 After working at Revlon for 3 years, she decided to get back to what she loves learning and doing, which is computer science and working with technology, so she decided to attend Hackbright. She looks forward to shifting her career path into tech as it has always been one of her passions and something she strived to work towards. The Hoppy Home Brewer is an app that allows home brewers new to the hobby to learn more about the craft, from more information about different beer styles down to what ingredients go into them and how they work with beer. The app allows each user to log and keep track of projects that they are currently working on as well as allowing users to play a random beer game to help with brain storming for new projects. Carrie ventured into finance after obtaining a B.S. in Management Science from the University of California, San Diego. 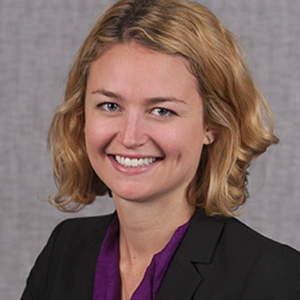 She worked as an Analyst at the investment consulting firm Milliman and then in the institutional group at Allianz Global Investors, where she worked with international clients on multiple technology-themed funds. 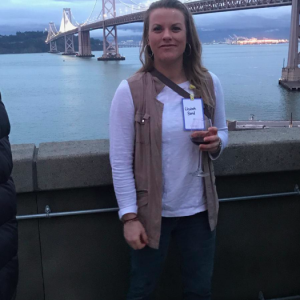 While Carrie enjoyed following the tech industry from a financial perspective, she became more interested in how tech companies were creating products and ecosystems. She started learning how to code via online courses and she is now very excited to transition her career to software engineering. If she’s not in front of her computer, Carrie enjoys reading, volunteering, and social dance. SkillInsights is intended for career changers or career explorers, or simply those who are curious about other professions. This web app allows users to explore careers and search for job titles that are most related to a particular skill, as well as the recommended skill set associated with the queried profession. Users can see the demand for jobs in these fields from the last two years plotted on Google Maps. Christina graduated from UC Davis with a B.S. in Environmental Policy. After graduating, she worked as an IT Support Specialist for several years at a software company in San Francisco. While she enjoyed the problem-solving aspect of her role, she wanted more creativity and the ability to build new projects. After talking to software engineers and trying out online coding classes, she decided that her next step would be to learn to code at Hackbright Academy. Christina is excited to use her experience of fast-paced problem-solving and logic toward software development. 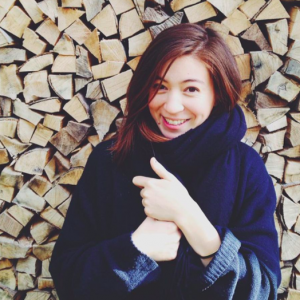 While not coding, Christina enjoys yoga, swimming, and traveling. Pocket Passport is an app where users can browse photos to find and plan travel destinations. After searching a location, users can select categories such as food, tourist attractions, and night life to find things to do. Users can save these images to their profile and click the photo to see information such as the nearest Yelp business rating, link, and Googlemaps directions to the place. With degrees in Marketing and Latino Studies, Diana’s journey began supporting P&G’s Hispanic Ad campaigns, followed by Google as an ad specialist in 2012. She’s been at Google ever since, stepping away from sales and into the tech sector as an AdSense data analyst in 2015. Under Google’s “Trust & Safety” dpt., Diana’s work includes citing ad abuse trends, while also creating and enforcing global ad policies to improve ad serving quality across Google’s Ad Platforms. Having specialized on Mobile apps (AdMob), she has most recently worked closely supporting AdMob engineers, sparking an interest in UX engineering. Post Hackbright, Diana hopes to use her sales savvy and wide range of technical experience to explore new areas in tech as an SWE! AdCollab is the Airbnb for ad space – enabling building owners to post available exterior wall space to local businesses looking to advertise at affordable prices – say $500/month to rent a back wall facing the Caltrain! Users can search for listings in their area by zipcode, with option to alter further by price and ad size dimensions available. Best of all, users can preview how their uploaded ads will appear on the listing’s ad space prior to making a selection! While AdCollab ad’s helps bring small businesses more foot traffic, the profits from local ad rentals can also help business owners in underrepresented communities keep their businesses up and help stall the steady trend towards gentrification. Elizabeth previously was a journeyman plumber involved in commercial construction in Little Rock Arkansas. In 2009, she broke her back which directed her to pursue her hobby and love of web development and animation into a career. Her diverse industry experience and strategic sourcing abilities have put her at the advantage in full stack web development with superior relational expertise to intuitively account for multiple departmental needs. She enjoys researching and implementing different “Big Data” innovations which has become an everyday hobby. To relax, she likes to go fishing, and help out whenever the occasion may arise. The ECRM is a Customer Relationship Management system for coordinating job quotes, staff and invoicing. The system provides a custom interface for three types of users: admins, staff and customers. When the user logs in they see the information pertaining to their permissions. The system shows information on users, jobs and products by list as well as detail views for individual records. It also provides an interface for creating, updating and deleting jobs, products and invoices. Emily was an accounting professional who left no stone unturned to ensure smooth compliance and nancial operations. Her passion in tech grew when her curiosity helped her finance team save hours of copying and pasting during their month-end sprints. She confirmed her love for programming the day she got her hands dirty with HTML/CSS during an office hackathon. Independent learning launched into evening classes and eventually enrollment at Hackbright. She loves working on the back- end, being able to build projects, and seeing them develop and can’t wait for a full-stack engineering role at a company that fosters innovation, learning and growth. She’s excited to take these experiences with her towards her endeavor as a Software Engineer. When we spend time with our friends and family, we don’t really care what we’re doing as long as we’re hanging out with the people we love. Meet Halfway saves you the trouble of choosing what to do when you just want to spend time with someone. When you want to hang out with a friend, Meet Halfway takes your locations, and using Yelp and Google APIs, provides points of interest that are within reasonable distance to both of you. You’ll save time, trouble, and even gas, all while getting closer to your friends. 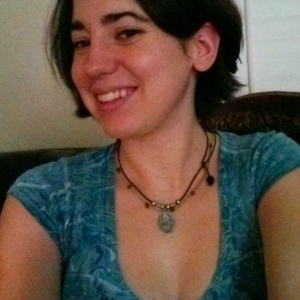 Ariel was an English major, but quickly fell into IT jobs after earning her B.A. because there were problems that needed to be solved and she was curious and wanted to fix things. 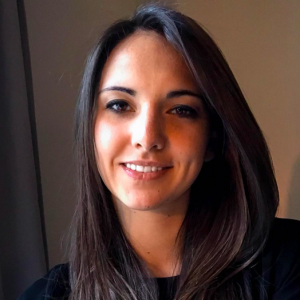 A passion for continuous on-the-job learning led her further into tech, and she held various roles in the healthcare software industry including Support Engineer and QA Tester. 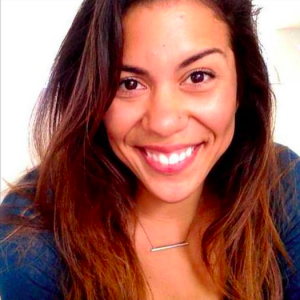 Wanting to dig deeper into how things work and learn to design them better, she joined Hackbright. 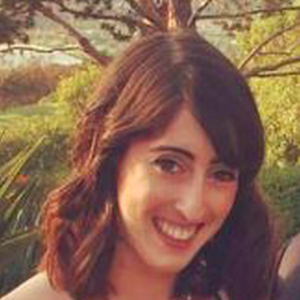 Ariel looks forward to continuing to learn and sharpen skills in her career as a software engineer after Hackbright. Her love of learning also extends into the realms of cooking new foods, reading challenging books with her book club, and practicing yoga. Rendezvous is an app which lets you invite friends to meet at a specific time and place. With helpful suggestions from Google Places Autocomplete, users choose a location for their rendezvous on a map which centers on their current location, pick a date and time, then choose friends to invite. When it’s time to leave to meet their friends, users log into Rendezvous and choose a Google Maps route. The route, ETA, and current location data for each person on the invitation is shared with the others visually on a Google Map, with the user’s location updated in real-time via geolocation inquiries to each user. No more texting while driving, “Stuck in traffic! 10min late!” because your friends will know where you are and your ETA. Having lived, studied, and worked in very different countries, Isabelle has found a need for higher social equity to be universal. Her deepest passion lies in the use of data-driven technologies to improve governance and policy-making, with a focus on improving integration of immigrants and equity of opportunity for women and minority groups through digital democracy technologies. Isabelle holds a B.A. in Linguistics and International Relations from Tulane University and a Master of Public Policy from the Hertie School of Governance in Berlin. Her other interests include linguistics, ceramics, cookies, and amateur acrobatics. FriendKeeper is a relationship manager for those who care but often fail to take initiative when life gets in the way. This simple contact manager allows you to select friends and set contact periods on them according to which the app will automatically email them with inconspicuous-sounding “hey, let’s catch up” messages, both helping and motivating you to keep in better touch with friends you don’t regularly see. Upon first log-in with Google OAuth, the app pulls the user’s profile and contacts and saves them to a database for future use. Users can then write new messages or select from several default options and schedule messages as they please. 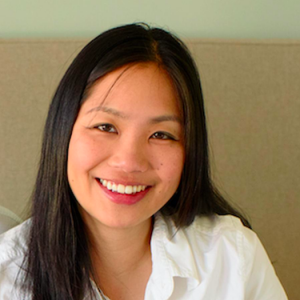 Ivy majored in Electrical Engineering and Computer Science at UC Berkeley, but has worked in client services throughout her career. She was a Project Engineer at BigBand Networks where she led implementation of BigBand’s solutions at client sites. This led her to pursue her MBA at HEC Paris to expand her knowledge in the business and operations world. She then got into Business Development and Partner Management at an online marketing technology startup, BlueKai, after her MBA. BlueKai was acquired by Oracle three years ago and Ivy then transitioned into a product related role. She has always loved technology and has been amazed at what it can do and now wants to go back to her roots to start building things as a software engineer. Eat.Plan.Love. is a web app that helps users plan a week’s worth of meals. Users can enter and edit their own personal family recipes and use those recipes to do meal planning. Users can also see a shopping list for the week that aggregates all the ingredients needed for that week to take to the grocery store. Kaia has 7+ years of experience in action plan development and implementation in the field of social work. Most recently, Kaia was a Case Manager Supervisor supporting high-risk individuals with a developmental disability and mental illness diagnosis. In 2014, Kaia moved to the Bay Area and has been self-employed as a musician and producer, completing production on many albums and videos, as well as licensing works for a variety of films, TV, and video games. 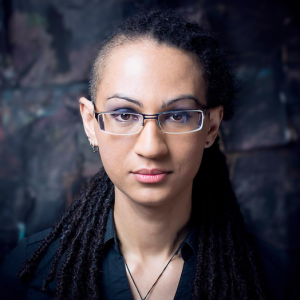 Kaia first became interested in programming from working with early software synthesizers. Kaia enjoys working with the technology of audio engineering, and the collaborative problem solving of social work, and now is hoping to combine both to pursue a career as a software engineer. Petrichor is a single page app that generates music from images provided by users or selected from the integrated Pixabay API. Music theory is modeled by 3 objects: a sequencer, a scale tracker, and a graph of chord progressions and scales. Images are analyzed to extract data points and generate a series of weight and seed values. As the chord graph is traversed by weight, its nodes update the scale tracker, which provides a pool of notes for the sequencers. Data points from the image are used to populate sequencer objects to track the on/o states, and other properties of individual notes. The sequences are played by the Tone.js framework for the Web Audio API, also using data from the image to synthesize sounds. Karen graduated from the University of California San Diego with a BA in Economics and Communications, and has worked in various marketing roles for the past few years. Most recently she was an account manager at a marketing agency creating integrated marketing solutions for a wide range of clients in the lifestyle, hospitality, and tech industries. Having taught herself how to build websites at an early age, Karen continued to further her knowledge in programming through online classes. She became inspired to pursue a career in software development after she moved to San Francisco and started regularly attending coding meetups after work. Karen looks forward to bringing her creative thinking to her future software engineering role. ChefBox is an all-in-one tool for aspiring chefs and home cooks to discover recipes, save memories of their culinary accomplishments, and reduce food waste. ChefBox searches for recipes based on users’ available ingredients, personal preferences, and dietary restrictions. Registered users have personalized dashboards where they can add ingredients to their inventory, nd new recipes that utilize their ingredients, access saved recipes from previous sessions, and upload photos and reviews of their completed dishes. 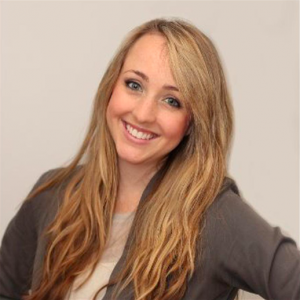 Prior to Hackbright, Kathryn was the Operations Manager for a group of three San Francisco restaurants. While this experience provided her the opportunity to explore many facets of the business, she most enjoyed creating efficient systems and developing solutions to handle unpredictable obstacles. 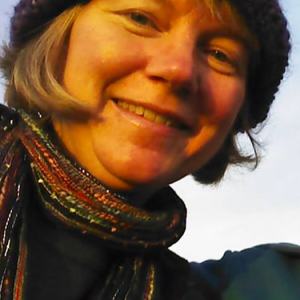 In her spare time Kathryn began exploring online courses to fuel her curiosity for software engineering and technology. She soon found her true passion in the challenge of constant problem solving and creating solutions that programming provides. Kathryn looks forward to applying her skills from Hackbright to a career as a developer and continuing to learn from those around her. Packbright takes the stress out of preparing for a trip by creating and managing packing lists. Users are asked to submit a location and complete a short survey, which informs the app to display weather details and generate a list of items to pack. The user can dynamically customize their outfits, edit their lists and email completed lists to themselves or other recipients. Additionally users have the option of saving a core list of items to their profile to be included in future trips. Packbright stores all past trip data so lists are easily referenced. For the past ten years, Kristine has been working as a middle school and high school teacher, including one year as a Fulbright scholar in Nepal. In this time, she developed her problem solving, communication, and team building skills. While she learned a great deal from teaching, she realized she wanted a new challenge. She discovered that programming allowed her to use her problem solving skills while continuing her passion for life-long learning. She was excited to hear from software engineers who said they felt like the were learning more and more as they worked with other engineers at their companies. Now, she hopes to find a career that combines her programming skills with her interest in bringing people together. SF Street Cheat helps users avoid parking tickets in San Francisco. The app provides the user with how much time they have until street cleaning at their parking location and suggests nearby locations where the user can park. The user can also filter results to match their parking needs and receive a text message near the street cleaning time reminding them to move their car. SF Street Cheat also provides towing information and allows the user to save locations to check on later. Leah studied business information systems at Cal Poly SLO with an emphasis in computer science. After graduation, she went to work at Macy’s.com doing search marketing; managing multi-million dollar budgets and making strategic marketing choices. While being on the business-facing side of advertising, she became more interested in how the technology works. 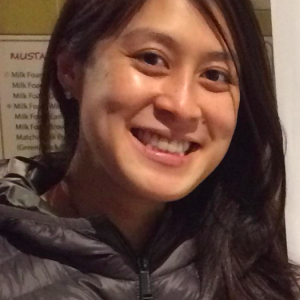 She loved the logic problem solving aspect of her computer science classes at Cal Poly and decided to dive back into programming by self studying Python and then attending Hackbright Academy. 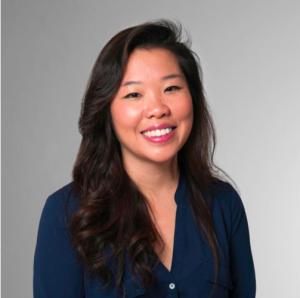 After Hackbright, she is interested in combining her interest in ad technology with full-stack web development. When she’s not coding, she likes to do yoga, read and go to concerts. Night Out is an easy way to create a plan with friends around an event. Users input their pre-planned event into the application which generates listings of bars or restaurants. The listings can be sorted by distance, price or Yelp rating to simplify the choosing process. When the plan is created, users can add their friends, regardless if they are users, to the plan so that everyone is on the same page. Participants get an email with the full itinerary listing the time and place to meet. Users of the app have all their plans in one convenient place on their profile page along with analytics on how often they are attending plans. Mary’s background is in music performance and education, with a B.A. & M.M. in music performance. She was previously a clarinet instructor and semi-professional performer, and discovered a passion for programming during an introductory coding course. She has what she terms “perpetual student syndrome,” and software engineering allows her ample opportunity to pursue new intellectual challenges. Programming concepts and her musical training are not mutually exclusive — she often finds parallels between thought patterns and implementation of elegant solutions to composition in both subjects. 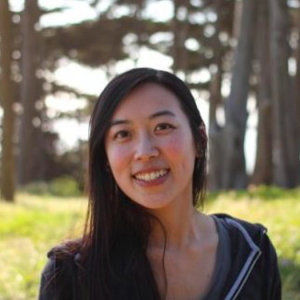 After Hackbright, Mary looks forward to applying her full-stack engineering skills as a software engineer, with a particular interest in front-end work. The Hub is an application inspired by the complex connections within the fictional Doctor Who universe (the “Whoniverse”). The Hub demonstrates connectivity by visualizing links between characters utilizing a graph created with the D3.js library. Users can also access character and individual season images and summaries, as well as create an account in order to rate characters on a 5-star scale. The Hub emphasizes a strong focus on front-end design. Custom-built dataset (after using Wikia Fandom API w/ Python wrapper, then webscraping with Beautiful Soup, and determining returned data was too inconsistent to be ideal for building this app properly). Michela graduated from UCLA with a BS in Mathematics. She has worked at Triage Consulting Group for 5 years, providing revenue cycle consulting services to hospital systems. 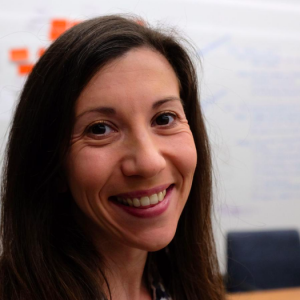 At Triage, she developed technical skills managing and manipulating large healthcare data sets on a SQL-based platform. For the last 3 years she has worked on Triage’s internal product development team and conducted internal technical trainings. In doing so, she developed a curiosity for software engineering, and began studying Python in her spare time. 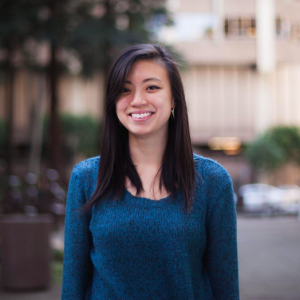 She joined Hackbright Academy to expand her self-taught skills. After graduation, she is excited to seek a software engineering position that utilizes her problem-solving and technical skills. Spot is an online marketplace for dog breeders to connect with buyers. Users can search for dog breeders (by exact breed name, or certain characteristics) from around the country and find a breeder that fits their needs. On a breeder’s page, users can find info about the breeder, upcoming/past litters, upcoming past/events, awards, and a blog. 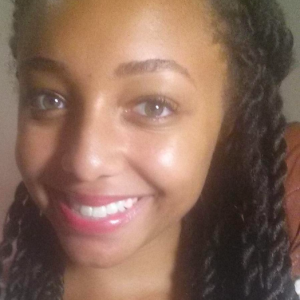 Morgan was a psychology major at the University of Illinois at Urbana-Champaign. She chose this major because she has a naturally inquisitive mind and psychology nurtured it. She liked learning about the mechanisms that inform human thought and behavior. She learned about emotional wellness and was interested in both emotional and physical health. She considered pursuing dental school and as a dental intern she realized the job wasn’t for her. As she considered her next career move, a friend suggested she look into programming. 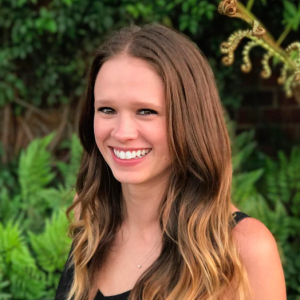 Morgan realized programming allows her to always be learning and exercise her creativity and naturally inquisitive nature by working through the logic of code, but also gives her a career that would be a better fit. Seat allows users to search for coffee shops and find out how busy those coffee shops. Seat tells users how likely it is that they will be able to find an open seat at their local coffee shops. Users can also rate how busy a coffee shop is that they are currently in. This user submitted data is averaged and displayed across a bar graph. This allows users to easily visualize how crowded a given coffee shop is at a certain time. Natasha graduated with an undergraduate degree in chemistry from NYU and is a New York native. After graduation she worked for two years at Google as a technical specialist for Google’s emerging local ad products. After realizing her passion was even more technical than she originally thought, she decided to up-skill her computer science knowledge and pursue a career in software engineering. She is currently a fellow at Hackbright Academy learning the hard skills that will help her become a backend/ full-stack developer. In her free time Natasha enjoys 3D modeling in Maya and Unity. She also enjoys reading about current trends in chemistry and physics. Scavenger Hunt is a game where users can accept challenges and complete them for points by uploading a photo of them completing the challenge. Scavenger Hunt uses computer vision to determine if the uploaded image constitutes a successful attempt and, if so, calculates the score based on how close the image is to the goal. Samantha graduated from from Santa Clara University with a Bachelor’s Degree in Theater Arts and Communication. After college she began work in the travel tech industry at Concur Technologies, for their TripIt product. She worked on a team of developers as a support specialist and project manager for over three years. It was during this time, working with developers that she began to teach herself some Python. 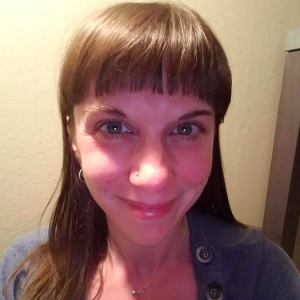 Through self study and online courses she continued learning and the more she learned the more she liked it, realizing she loved the way it made her think and how it felt like a puzzle. This led to her decision to apply for to Hackbright. An online travel journal, where you can create trips and add entries to the trips for the different places you visit. Entries include a geocoded location, a photo and a note. You can add friends and see where your friends have traveled to. You can share specific trips with friends or request details for trips from friends, which allows you to view all their entries for a trip. 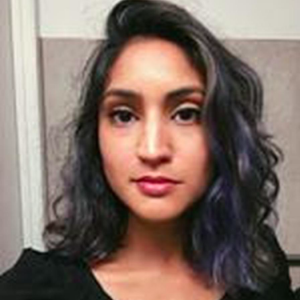 Before coming to Hackbright, Sasha worked at a cognitive neuroscience lab at UCSF investigating how technology based interventions affect cognition. 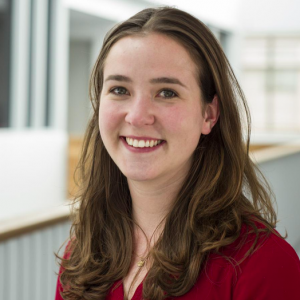 She especially enjoyed working with MRI data and was fascinated by the process of transforming a raw dataset into something meaningful. Prior to UCSF, Sasha conducted community health education and outreach with AmeriCorps. Through these experiences, she became passionate about data analysis, social justice, and improving healthcare. Realizing what a critical role technology plays in these interests, Sasha decided that software engineering would be a great way to make meaningful contributions to these fields while engaging her love of problem solving. Grab Back visualizes employment data on a map divided by congressional district. Users can explore women’s overall representation in the labor force or their representation in management positions. A side chart displays the districts that have the highest or the lowest representation of women. When users enter their zipcode, the side-chart will update to show the rate of employment of women in that zipcode’s congressional district, the zipcode’s state, and the U.S. as a whole. Lastly, the user can use the scroll bar to visualize historical employment data. Shilpa has always been passionate about making the world a more fair and equitable space. She graduated in 2014 with her MPH in Community & International Health and has worked extensively in research and with marginalized populations. After realizing she had creative, quantitative, and problem-solving strengths that were not being challenged or explored, she began to learn programming languages on her own. 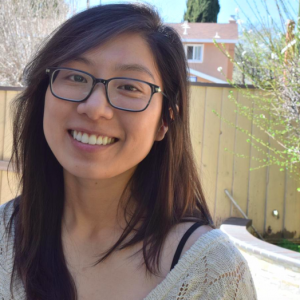 She soon decided to switch careers and embark on a wonderful journey at Hackbright with her newfound love for web development and finding creative solutions using computer science. Shilpa looks forward to combining her passion for social justice and health equity within the ever-growing technology world after Hackbright. inTentsLending is a web application that enables peer-to-peer sharing of camping gear. Lenders may upload their gear they would like to lend out. Campers may search via their geolocation, brands, categories, keywords, and a different location and borrow desired items for a specific amount of time. This project’s goal was to contribute to the information technology world’s recent momentum in sharing economy, as collaborative consumption has become a great way to live and consume sustainably.